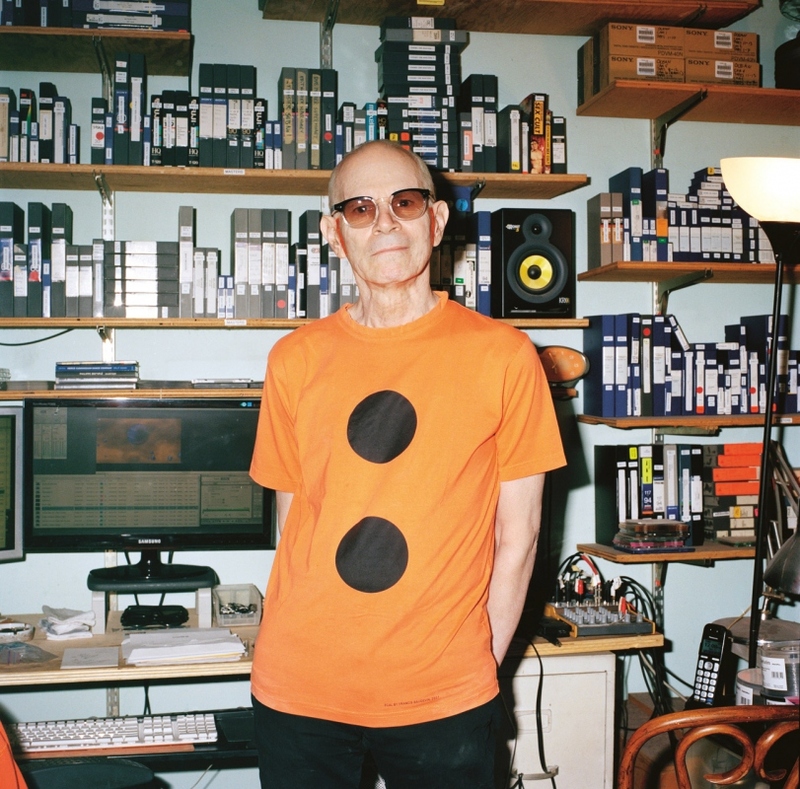 When CHARLES ATLAS landed in New York from St. Louis in the early 1970s, one of the first jobs he got was as the filmmaker in residence at the Merce Cunningham Dance Company. It was a post he kept for ten years, making collaborative works with Cunningham and his dancers that would come to be known as video-dance or, simply, dance for camera. 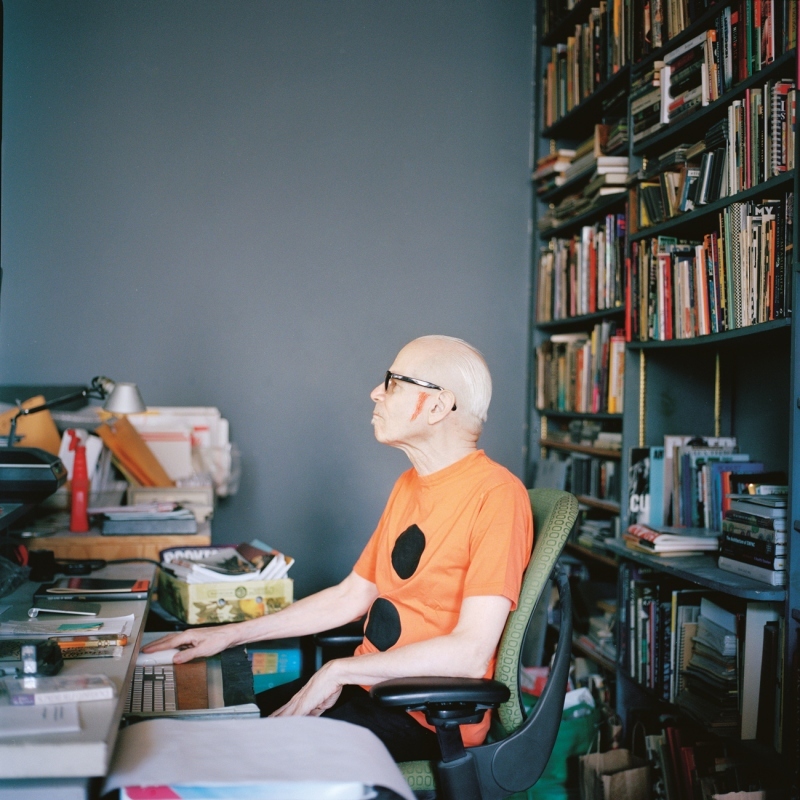 He went on to collaborate with other choreographers and dancers (Michael Clark, Douglas Dunn, Yvonne Rainer, Karole Armitage), artists (Marina Ambromovic), musicians (Antony and the Johnsons) and performers (Leigh Bowery, Lady Bunny). Atlas continues to pioneer the time-based medium, making video-collages, documentaries, mockumentaries and interactive live-action video, among other pursuits. His last two exhibitions at Luhring Augustine, in 2012 and 2015, have featured large-scale video, usually featuring numbers and devoid of bodies. Here the artist speaks about his relationship to internal and external rhythm, how our relationship to performing for devices has shifted, and why he’d rather be watching television than down at the beach. Carmen Winant: Your exhibition at Luhring Augustine, “The Waning of Justice”, just closed. 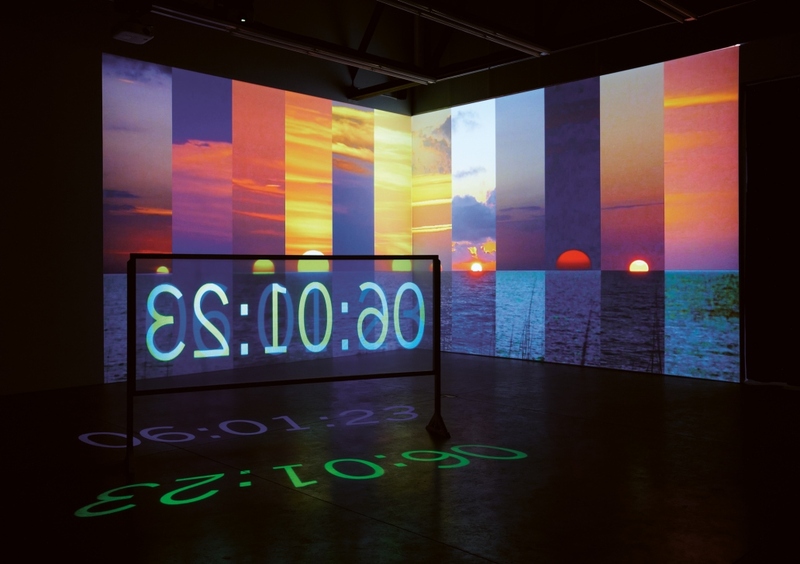 It featured, in short, a series of vertically sliced sunset videos in the front room alongside a giant, freestanding number counter, counting down seconds; the back room was a projection of the drag queen Lady Bunny who was performing a politicized rant. Did you conceive of the two pieces together, and for one show? Charles Atlas: Well I don’t ever start out trying to communicate a message. I start out with a situation or a place or a feeling. This is the only way for me to work, making and collecting things and not knowing what will happen with them. I take the suggestion of the material, which means I usually figure the surrounding ideas out in the end or even in the middle. I want it to be open to whatever people get out of it too; there may well be meanings I’m not aware of. I’m careful not to overload the press materials for this reason. CW: Working that way, you must have a lot of unused material. CA: I do. In this case, I filmed these sunsets on the Gulf of Mexico at the Rauschenberg residency, and after two years I had forty-four sunsets. The whole time I was thinking: I’m doing sunsets but I’m really not that interested in sunsets. I was a little worried about the cliché but I also thought that was the interesting part — that I could use cliché as a canvas. CW: Well, yes, but that’s what I liked about it. The title confused my expectation of this otherwise semi-abstract work. I began to read those whirling numbers in regard to the stock market, my dwindling bank account, FEMA reports. The same thing happened in this recent show. What I might have read as, say, purely apocalyptic, I started to read as being about the tanking economy.Which is apocalyptic in its own way. CA: I had, and have, an abiding concern with progressive politics. For my last show, as you say, I added a title that didn’t have much to do with the work. But I thought it could be a method of addressing the public. I was so upset about the way the world was going but my work wasn’t necessarily reflecting that. I wanted people to keep both ideas in their heads. The events of Ferguson happened right before this current show and only in that moment did I fear the title might be read too specifically; I went for it anyway. CA: I’ve known Lady Bunny for two and a half decades. I knew I wanted to do a portrait of her. She used to be really anti-art, anti-politics, all about entertainment. She has since become quite political… she has a blog and very serious political thoughts and ideas. We met a few times to discuss my ideas for the show; I knew she’d be right for it. I asked for two songs and a rant. CW: How scripted was the rant? It meandered, but she was incredibly convincing. Maybe that made it more convincing? CA: Nothing was scripted. She’s a performer, you know. CW: The show, at least for me, referenced another kind of waning: it was a meditation on death. What we might call personal justice, I guess. I’ve always loved the verb “sunsetting” as a euphemism, and, with the numbers counting down in front of the coming dusk, I couldn’t help but thing of this as a picture of mortal decline. CA: Sunsets, as you say, are an obvious metaphor for something ending, waning, disappearing. The front room worked like a clock, or a countdown, in more than one sense, yes. A countdown to the end of the world. And Lady Bunny, well, at the end of the world you have a disco song. CW: Speaking of disco, I read an interview with you and Matthew Yokobosky recently in the “Performing Arts Journal” in which you said that the real essence of your work, its fundamental kernel, is in timing. Something clicked for me in that moment. I thought: oh, dance, music, choreography, performance, these are all modes of using our bodies to measuring time, not the other way around. The bodies or the singing or whatever physical expression are a way to describe the count, the pattern, the arrangement, the flow, etcetera., through expression. CA: I learned from the master of rhythm. I mean, I really learned. Cunningham did it without music. Thought about the bodies’ internal rhythms, the heartbeat for instance. The Cunningham/Cage aesthetic was that music and dance were separate. Dance has a rhythm without music. I always knew this idea was important to me, and that I absorbed a lot from those years, but I was so young when I started with Cunningham…it’s only been in the last ten or fifteen years that I’ve realized how it’s influenced everything I did after that. Though I’ve made a book, ninety percent of my work is time based; I don’t feel entirely comfortable in the still world. CW: I suppose this is related to the feeling in those Cunningham dances, and the videos you made with Merce and the dancers. The choreography is specific but they never feel overly managed. worse, just a different way to think and work. CW: Was there anything challenging, or rather difficult, about working with Cunningham? I wanted to make portraits. I tried John Cage’s chance methods first, but that didn’t work for me. Charles Atlas, collaboration with Merce Cunningham. Blue Studio: Five Segments, 1976. Video, silent. Duration: 16:00 minutes. © Charles Atlas; Courtesy of the artist and Luhring Augustine, New York. CW: Do you make work that you consider to be non-collaborative? CA: Yes. Collaborative work is what happens only when real discussion has taken place over some amount of time, a real exchange of ideas has happened. I work with people of course. But when a still photographer takes a portrait, that isn’t considered a collaboration. Annie Leibowitz isn’t accused of collaborating when she makes a picture of someone, you know? This is not to belittle the contribution of subjects that I work with, but not everything is collaboration. Maybe people think this because I work with strong personalities and, sometimes, famous people? Certain Cunningham pieces I did were collaborations, and certain ones — like the piece with his feet, the joints — those are not. People say sometimes, what is your work? You have made so much work with other people, what’s yours? That is a confounding question to me. It never occurred to me. CW: Because you have worked in many different ways across time-based media, you’ve been described as a filmmaker, an artist, a video artist, a videographer, and so forth. Do you prefer one label to another? CA: I’m no longer a videographer — what I do now is direct. There is always a gap between what I’m doing in the present moment and how I’ve been perceived in the past. I left Cunningham in 1983, I started working with Michael Clark and Karole Armitage, but I was still sometimes known as a “dance documenter.” That was wrong. I wasn’t documenting the dances…I was making pieces with the dance. I’ve made a few documentaries but I resist being called a documentary filmmaker for this reason. Anything else is fine. CA: My native language is film and video, but I’m constantly trying to challenge myself within that, to see what I can do with that. Always. This addresses your previous question as well: My work is all my history, and the history of everything I’ve done. CW: “The Martha Tapes” are described as video collage. 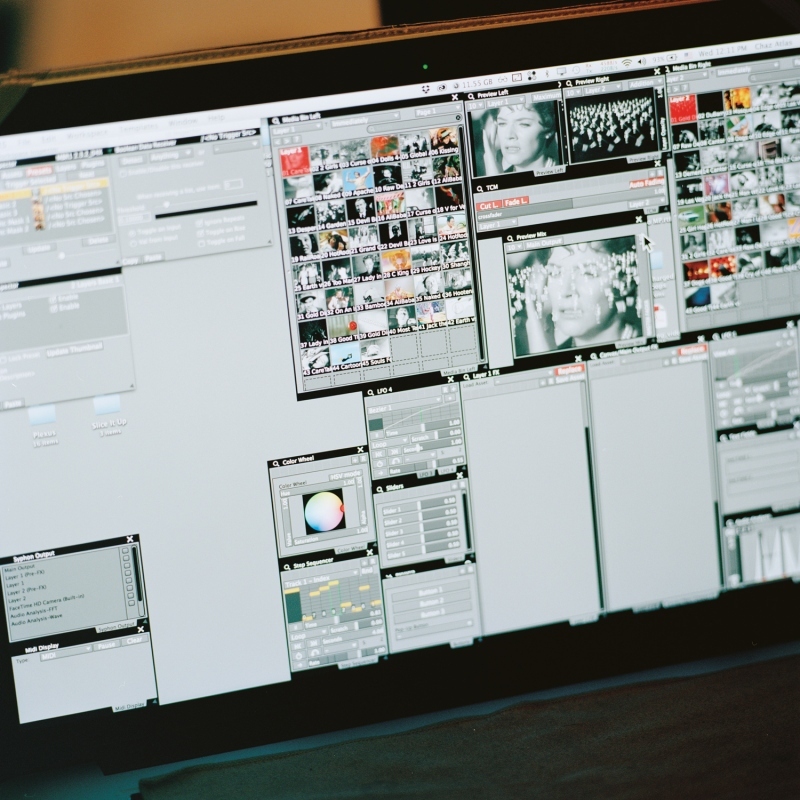 What is video collage? CA: When you take found material and edit it together. CW: That wouldn’t be video montage? CA: It could be. I suppose it could be both. For me, montage emphasizes the edit whereas collage the process of collection. CW: Technology has caught up to you in some ways, which must be nice. And, in other ways, so has the culture around it. You’ve worked for a long time harnessing performance for media and performance as media. You weren’t just documenting, as you say. This tendency feels more familiar now. CA: When I first started in the 70s, people weren’t used to being filmed so much. This is so far removed from how it is now, how our culture has evolved. When people saw recordings of themselves, they would be really surprised, say “I hate the way I look”. Or, “do I really sound like that?” They were totally disarmed by it. No one does that anymore. Everyone knows exactly what they sound like and exactly what they look like. When I first started filming the Cunningham dancers, they were so incredibly awkward. They didn’t know where to look, how to be in front of the camera, it’s closeness… they were used to the distance of the stage. I had to give them every direction. That awkwardness has totally disappeared. CW: Yeah, people are so self-conscious now with devices, everyone knows how to perform for media. CA: Well, I think that’s great. Half the work is done for me! I always say that in the end I won — it all became digital. CW: You’ve made commercials at some point, right? CA: I had a really brief moment where I was hired to make a publicity film. They liked that first one. They were really not happy with the second one. It was abstract, it was weird, not uncomplicated. So that was it. I don’t have what you might call a “natural” commercial way. However, just a few weeks ago Calvin Klein hired me to do a campaign. They want my art brand, I suppose. I’ll be shooting video and they’ll be taking stills too from that. I guess you are never too old to sell out. CW: Will that project be collaboration? CA: Yes. They will have final say. And I won’t be doing anything different from my non-commercial work. I don’t feel compromised in that sense, as ever, I feel like I’m working with. CW: You told me before we started recording that you never go to the ocean. CA: I have been, but not for about thirty years. CW: Even at the gulf coast, when you were making the sunset work? CA: I prefer swimming in a pool here in the city. I’d be happy to watch television out in the country. Charles Atlas, The Waning of Justice. Installation view, February 7 – March 14, 2015 Luhring Augustine, New York. Photographs: Farzad Owrang. © Charles Atlas; Courtesy of the artist and Luhring Augustine, New York. This story originally appeared in Wax Issue 7.